The Great Pyramid of Giza is apparently a fine piece of architecture and engineering and clarifications of how the ancient Egyptians build it over 4,500 years ago have been filled with a massive debate, confusion, and mysticism. And sometimes even aliens are blamed for this fine piece of architecture. On the other hand, according to a recent study, the engineering behind this might not be as bang-on as we once thought it would be. The research by the Glen Dash Research Foundation and the Ancient Egypt Research Associates has found that the Great Pyramid doesn’t have a perfectly square base, with one mainly uneven west-facing edge. Engineer Glen Dash and Egyptologist Mark Lehner looked for the original edges to the 138-meter (455 feet) tall Great Pyramid of Giza, the largest of the three pyramids found in Giza, just across the River Nile from Egypt's capital, Cairo. 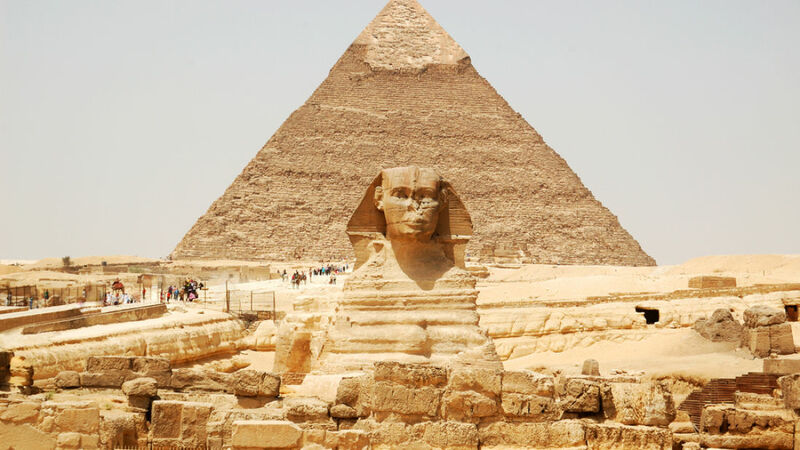 When it was first built, under the regulation of Pharaoh Khufu, the pyramid was lined with a white limestone covering. Over the centuries, this external casing was uncovered for use in other building plans and left the pyramid how we see it now. Much of this external edge is too damaged to be of any use, nonetheless, the scientists accomplished to locate 84 points of the original boundary about the pyramid’s 920-meter (3,020 feet) edge. With the help of this data they planned the lengths of the pyramid's four sides. The east side measured between 230.295 to 230.373 meters (755.561 to 755.817 feet) in length. On the other hand, the west side was about 230.378 to 230.436 meters (755.833 and 756.024 feet). That means the west side could be more than 14 centimeters (5.5 inches) longer than the east.